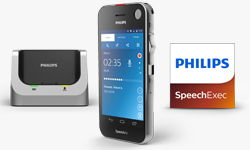 Philips SpeechAir Smart Voice Recorder - PSP11000 Series. 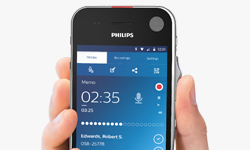 The New Philips PSP1100 SpeechAir smart voice recorder saves you time and resources by allowing you to work more flexibly than ever before. Integrated Wi-Fi functionality facilitates quick file download from any network. Recordings are encrypted in real time for maximum data security. 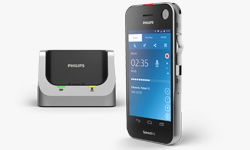 The device also features three microphones dedicated to outstanding voice recording quality. I choose my dictaphone and i receive it quickly few days later in an excellent packaging.